There's a lot of great information in this forum, but it's not always the easiest to find. The purpose of this thread is to serve as a knowledge hub to help new and established members find useful information on commonly asked questions. Please review the threads available in the directory and check if there is a suitable one to ask your question/post your comment before starting a new thread. This will go a long way towards making information easier to find and reduce the need to merge threads. How do You Buy Lego on a Budget? Sets with Best Value per Brick? How Often Are You Missing a Piece, Discover a Broken One? ^^ Now that is weird; it appears that a few of them work but the majority don't. It seems to have something to do with how I did the embedded links. Would one of the mods mind fixing that? ^ *Slaps Forehead* Thanks, I had it on there at one point; must have gotten dropped in one of the edits. I'll have to take a look in the morning, I can't see anything obviously wrong with them. @Joseph- Great work! I'm sure this will help a lot of people. As someone else already mentioned, most of the links just re-direct me back to this page. I'm sure atkinsar can fix it in the morning. @Joseph- All sent to Digital Design Programs. Assuming you were meaning to reroute to the same thread, it seems that form of embedding worked well. Edit: I found it! It's an issue with me having copy/pasted from something that had special quote marks (eg. ” as opposed to ") if a mod can change it on the beginnings of most links, it should work. That's what I've been doing, I found it too. I think I've fixed up most of them, let me know if any are still broken. I'll also make the suggested additions tomorrow. Bed-time for me! Many thanks to @Joseph for putting this together, I know he's spent a lot of time and effort on it and I think it will be very useful. This will get announced once we've ironed out the kinks. What Have You Done to Your House to Accommodate Your Lego Hobby? Online Fraud Drop Shipped Lego etc. Ebay, Amazon, Marketplace, Bricklink, etc. and What is the Easiest way to make professional instructions? Artificial Light Brick Discolouration needs a new line and an "h" before the "ref="
Other than that, they're all fixed. Thanks @Atkinsar! Note: I am currently messing with this to tidy it up a bit, bear with me. Ok, I've finished tidying it up, let me know if you find any problems or have suggestions on how to improve it. We have a character limit for posts, which is why I've moved the directory to it's own comment and there's one below it reserved for future expansion. Hope you find it useful, and thank @Joseph, not me. It may be worth explicitly pointing out before the list of threads that there is preference/policy to not create new threads if they're not needed and that it's fine to post on an old thread if the subject is relevant. ^ good ideas, both implemented. Added the thread suggested to buying. ^^^ Thanks, much easier to read now. ^ I sacrificed some sub-categorisation in favour of making it easier to scan and also to save some characters in the post. I think it still achieves it's aim. @joseph Great idea and excellent work. Many thanks. Could a couple of the currently pinned posts go into this list and therefore be no longer pinned @atkinsar? Thinking at least the abbreviations threads? I'd just appreciate that little bit less scrolling on the Discussions page! Yes possibly, I'll have a think about it. You know you can dismiss those you don't want to see though right? Just click on the cog and hit 'Dismiss'. I aim to please, although my wife says differently. This has been very helpful for me be a new member to the forum as searching is not the easiest on here!! One thing though I have not found, is there a thread for how to identify whats in a CMF package, or the best way to "feel" whats in the package? ^ There's no official thread for feeling CMFs. The logic behind it is obviously to feel for the unique pieces and (IMHO) is fairly easy once you get the hang of it. There are also "dot codes" but except for s3, they are fairly unreliable unless you have the same batch as the person who made them. Oh, and thanks everyone for the comments; I'm glad I could help! 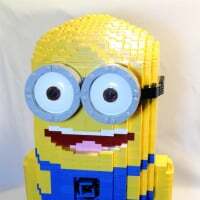 Added "Automated BrickLink Cost Minimiziation..." to the Buying category. Added a "Miscellaneous" category and put "How many bags?" in there, if there's any suggestions about a more suitable category to put it in, let me know. The "Feedback for buyers" thread might be a good one to put in one of the sales related categories. ^ done, although it meant having to use the reserved space and move storage in there. I was looking for this for ages just now and couldn't find it - I see it's flagged as an "announcement", but that doesn't seem to guarantee it is at the top under category view - is there a way of "stickying" it under category view, or even making a new category which collects all the threads flagged as "announcement" in a section at the top somewhere? It should be sticky on the main list now. Maybe this thread needs a bump, even though it is sticky. Or a similar thread put in the Collecting section, because it seems that very few people use it. We seem to have more and more people starting new threads to show off their collections. Or are new "I own all this" threads acceptable now? Or should we have a new personal collections section of the board where everyone gets a thread if they want one? ^There does seem to be a glut of 'about my stuff' threads currently.. Don't mind people posting it (although not sure why people think others are interested sometimes), but like you say, it would be nice to keep it contained. No reference to the Part Identification thread? ^^^ and ^^ How about a single thread where Brickset members can post links to their collection albums on Flickr or Dropbox etc? I guess the problem is that people don't bother to find or use existing threads for displaying minifigs or sets, or know they exist. So even if that existed, would people use it? PS I prefer pictures to be included, rather than a link. If you have to leave the forum to see them, then there is an extra step. When you're in the middle of nowhere using a smart phone on the end of a tenuous link to civilisation, pages can take forever to load - and sometimes won't load at all. And some people like to include massive images that are more suited to displaying on billboards than any computer, and take forever even if you've gigabit ethernet. And then people post replies that also includes the image, so there's even more to download. If you are in the middle of nowhere using the internet, then off image downloading. Come on, you need some of them for anything to make sense. In any case, is it too hard to open a link in a new window or tab? You're in danger of walking down the same road as some web designers who expect everybody to have the latest versions of everything, the fastest processors, massive amounts of memory and ultra-fast links. The same web designers forget they they're supposed to design things to be usable by their, uh, users, and not just to massage their own egos. Aim low and everybody can be satisfied. Why should everyone go at the pace of the slowest? If you want a text only forum, then turn off images. It looks fine, apart from double names at the start of posts and no like / share type buttons. Now I am not saying that people should just go ahead and post 20 high resolution photos without thinking. But splitting images from a post often takes away from the discussion as it is harder to follow. Because they can. The opposite is not true. But splitting images from a post often takes away from the discussion as it is harder to follow. Often? That's slightly different from what you've been saying. Often, it doesn't make the slightest bit of difference. Post a deal on a set, prefix the set number with "#" and you get a link. If somebody doesn't know what it is, they've got an easy way of finding out. If, instead, the picture was automatically included, I suspect even you would get a bit fed up. Getting it right means exercising a bit of discretion, and unless somebody says something, a lot of people don't even realise there's a potential issue. This is supposed to be a community with people working together in a common interest and therefore discretion and compromise are good things. If somebody posts an ultra-high resolution picture of a part or a set they want identifying, they're looking for somebody to help them - the community working together. If the person who knows the answer is on the end of a poor mobile signal, there might not be an answer simply because the person requiring help isn't being considerate toward his potential helpers. Being sensible is actually in everybody's interest. If the person who knows the answer is on a slow connection, then why would they click through to an image anyway? The slowest connection can join in if there are inline images, by turning images off. Actually including a smallthumb nail of the set and / or its name when using the # would be great. Especially for those on mobile devices where the # links don't always work. Although they are improved recently. You might not have noticed that I gave a list of several things that people ought to consider. One was image size. Indeed, there is even a rule about it (400*300) but it doesn't seem that (m)any of the rules apply any more. ^ I think in the last 4 years mobile internet speeds have increased a lot, so that limit could probably be in increased now. Hm, maybe it's worth @Huw updating the rules (given that they haven't been updated since 2012) and publicising them just to remind people. Like we had that thing at the top of the screen for adding locations and for the 'forum is closing down' thread. I mean, mobile speeds (in terms of network speed and hardware/processing power) have increased since 2012, but it seems that it's still worth enforcing some kind of limit. FWIW, I find it very annoying in my phone as the page scrolls upwards as the massive pictures load, even when I'm on fast WiFi, so I can only imagine what it's like on data. I'd say for the most part, the other rules are obeyed, though. In spirit if not in word - and I've noticed the community will often self-moderate in the case of watermarked images, etc. ^^ wish vanillaforums had a feature like vBulletin for embedding images. they attach a small thumbnail with the size and resolution written in a bar below that links to the original image so you can upload larger images without causing long load times by default.